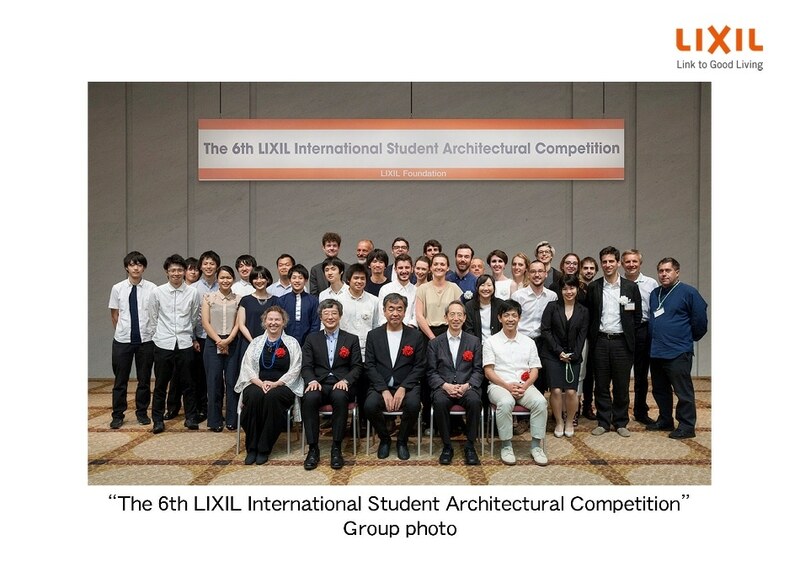 The LIXIL JS Foundation (located in Koto-ku, Tokyo; Chairperson: Yoko Ushioda), which facilitates surveys and research related to the housing and building materials industries as well as supporting the development of human resources, conducted the Open Final Screening for the 6th LIXIL International Student Architectural Competition at the Keidanren Kaikan (Chiyoda-ku, Tokyo) on July 20, 2016 (Wed). The purpose of the competition is to seek and review next-generation sustainable housing technology and communicate that technology to the global society. The top three universities chosen from twelve participating universities in ten countries gave presentations, and INFINITE FIELD by Royal Danish Academy of Fine Arts (Denmark) was selected as the winner. During the Open Final Screening, a heated discussion occurred between the head of jury, Kengo Kuma (Architect/ Professor, the University of Tokyo) and jurors, Tomonari Yashiro (Professor, Institute of Industrial Science, the University of Tokyo/ Vice President, the University of Tokyo), Masato Araya (Structural Designer/ Professor Emeritus, Waseda University), Yoshiharu Tsukamoto (Architect/ Co-founder of Atelier Bow-Wow/ Professor, Graduate school of Tokyo Institute of Technology) and Dana Buntrock (Architect, Department of Architecture, University of California, Berkeley). The theme of the 6th competition was “Comfort and Lightness.” As the competition’s first attempt, the contestants proposed a light shelter, which can be easily assembled and moved. This time around, as another first attempt, their mockups were actually brought in and exhibited at the hall for the final screening. Royal Danish Academy of Fine Arts’ INFINITE FIELD was highly rated in various aspects, including a whole new architectural approach that can safely be referred to as an extension of “furniture” that gives consideration even to the form created by the human body and wood, a high degree of perfection of details, including materials to be cut and assembled, and a 360 degree open design that can become a big appeal when installed in Taiki-cho, Hokkaido. With support from Kengo Kuma & Associates, the team will arrive at a final design for “INFINITE FIELD,” and the project is scheduled to be built in October 2016 on a site at Memu Meadows, located in Taiki-cho, Hokkaido.